Being subjected to pressure from Washington, Iran has once again turned to the yellow metal as an alternative means of payment. Speaking to Sputnik, Iranian experts have explained how Tehran will conduct oil-for-gold barter deals with African countries and other longstanding partners. Iran and its trade partners may switch to gold as a payment instrument to remain invulnerable to US sanctions and invisible to US regulators. "There are countries unwilling to be led by the nose by the US and ready to buy Iran's crude," Hasan Khosrowjerdi, chairman of the Iran-Africa Council for Economic Cooperation, told Sputnik Persian. "In addition, there are those who are willing to pay for oil in gold. Any country can carry out barter deals with Iran. I cannot name these countries, because they may have problems. Of course, we are more interested in goods. But gold is a means of payment that is always in demand. In different places it is used as a monetary equivalent." Khosrowjerdi explained that gold can strengthen the Iranian national currency, the rial, and therefore Tehran had offered its African partners the oil-for-gold barter plan. "Ghana, South Africa and other African countries have gold reserves," he said. "If they are interested, we are ready to exchange oil for gold." The chairman of the Iran-Africa Council for Economic Cooperation specified that Iran can exchange oil not only for gold, but also for goods usually imported to Iran. Besides this, Khosrowjerdi believes that Iran can strike barter deals with countries that do not succumb to Washington's pressure, namely Russia and China. He noted that Tehran is ready to pay in oil for Chinese and Russian goods. For his part, Iranian energy expert Seyed Saeed Mirtorabi referred to the fact that Tehran repeatedly resorted to non-dollar transactions and barter deals during the Iran-Iraq war (1980-1988). "The details of this plan depend on what countries are involved in energy trade with Iran and as well as their ability to pay in gold," Mirtorabi pointed out. 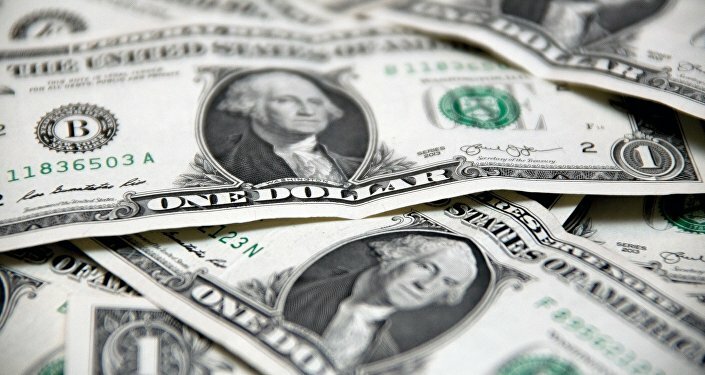 "US sanctions make it difficult for Iran to get dollars. In fact, countries under sanctions can switch to non-dollar trade or carry out barter exchanges." The energy expert noted that at present Iran is using the euro and rial as a means of payment. As for barter trade, Iran had a similar experience during the war with Iraq, he remarked. "We sold oil and received goods in exchange," Mirtorabi recalled. "We traded with both developed economies — for example, with Japan — and with developing countries." According to Mirtorabi, global players have been using gold as a payment instrument since the 2000s. Today, some states also resort to the use of the precious metal because they have lost confidence in the dollar. In 2014, Forbes' contributor Addison Wiggin elaborated how gold helped Iran to resist Washington's sanctions after the US and the EU shut Iran out of SWIFT, the global payments network, in March 2012. Having been expelled from SWIFT Iran continued its gas and oil trade with Turkey and India in gold. For its part, Iran could use gold to purchase goods from Russia and China. Washington subsequently stepped up its pressure on gold sales to Iran; that, however, failed to discourage Tehran, Wiggin pointed out in his article entitled "How Gold Helped Iran Withstand U.S. Financial Fury." Iran was reconnected to SWIFT in 2016 after the conclusion of the Joint Comprehensive Plan of Actions (JCPOA) commonly known as the Iran nuclear deal. Mirtorabi, commenting on the further use of gold obtained from the sale of oil, referred to the experience Iran had gained during the previous round of sanctions. "Iran can use gold in the domestic market or convert gold into a foreign currency," he said. "Being struck by sanctions countries are forced to resort to different methods. During the previous round of sanctions Iran carried out part of its trading operations in gold. This gold was converted into currency in countries such as Turkey, and this currency was imported back to Iran. Now this is also possible."